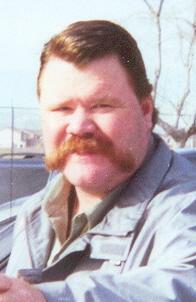 John W. Fitzpatrick, 47, of Greencastle, Indiana passed away Monday, Dec. 8, 2008 after battling a long-term illness. Born June 6, 1961 in Chicago, he was the son of Thomas D. and Jeanne Hinkle Fitzpatrick. He was a 1979 graduate of Greencastle High School. He also graduated from Purdue University in 1984 where he received a Bachelor of Science degree in criminology and played football. Survivors include his parents, brother Tom Fitzpatrick and wife Mary of Weyauwega, Wisconsin, nephews Michael and Trevor Fitzpatrick and niece Grace Fitzpatrick. Private services will be held at a later date. Bittles and Hurt Funeral Home has been entrusted with the arrangements. Memorial contributions may be made to the Humane Society of Putnam County, P.O. Box 444, Greencastle, IN 46135. John Fitzpatrick joined the Minnesota Vikings as an area scout in 1993 after he spent seven seasons (1986-92) working with National Football Scouting. He was named a Regional Scout in 1999. In his 14 years with Minnesota, the team made the playoffs six times, won two NFC Central titles, and played in the NFL Championship game. He was a charter member of Ourlads’ Scouts’ Hall of Fame. I first met John when he made a school visit at New Mexico Highlands in 1984 where I was the head football coach. We became fast friends since John had played for the Boilermakers and I used to work for Jim Young at Purdue. The tall redhead with a well-manicured handlebar mustache phoned me the day prior to his arrival during two-a-days and asked me what time we were practicing, and I said we’ll be going out at 5:00 AM. Big Irish was there at 4:00 AM sharp to go over our prospects. Nobody worked harder than John Fitzpatrick. When he made his school calls he was pressed, starched, and buttoned down from head to toe. He wore a bone-colored wool cowboy hat, a classic Wrangler cowboy cut twill shirt with a spread collar, western spade flap pockets, and three snap Western cuffs. He tucked his shirt into a pair of pressed straight leg Pro Rodeo Wrangler jeans. A Longhorn Cowhide leather belt with a huge Longhorn design buckle held up his britches. 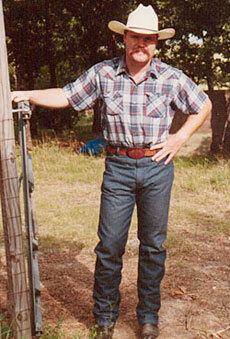 His pant legs were tucked into his Tony Lamas Bullhide cowboy boots. His attire rarely changed over the years. John was the first film director at National Football Scouting, duplicating hundreds of the tapes and films that the colleges mailed in for player personnel evaluation. Fitz, in turn, had to “dupe” each film or tape and then mail out copies to every one of Nationals’ twenty team members. Many a night John slept on the couch in the film room just to make deadlines. NFL Films took over the responsibility in the late 1980s. John felt at home on the Western range as he did on the football field and in the film room. He loved the Wild West and was passionate about it. Instead of riding a horse, he rode his Harley-Davidson Sportster all over the Western and Southern United States. When not riding his Harley he drove his standard shift pickup from college to college with his Blue Heeler, Crookster, riding shotgun. John was legendary in setting endurance records driving from one college town to another just to make sure he was at the school on time for a pro timing and workout day. He only flew in an airplane when it was physically impossible to drive the trip. All NFL scouts working in the Southern and Western states had John on speed dial for the best local eating establishments in their area. Fitz knew them all – Barbecue, Italian, Seafood, Mexican, Tex-Mex, etc. Many times he personally knew the chefs at the restaurants. John was a highly respected scout by his peers in the NFL and took pride in doing his ordinary job extraordinarily well. He earned the trust of coaches in his area. Fitz left no stone unturned and was meticulous on his background checks, evaluation, and writing his reports. If a general manager wanted to know how far back a prospect could stand from the urinal and hit the deodorant block with his stream, John would have the measurement to a quarter of an inch. 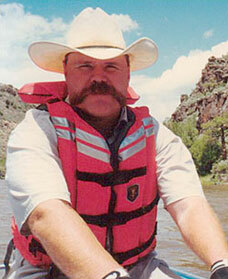 During the summer down time, Big Red would guide white water rafting tours down the Rio Grande River. He spoke fluent Spanish and could communicate in a variety of dialects. The Viking nickname represents an aggressive person with the will to win. If you look up Viking in the dictionary, John’s photo should be next to the definition. He was as rough as a corn cob and direct as a laser beam, but would give you the shirt off his back. John Fitzpatrick was intelligent, perceptive, intense, determined, loyal, imperfect, a practical joker, humorous, and at times as obstinate as the horses he broke on his Texas ranch.